This article has been clarified to reflect that Arminta Torbett received a 30-month prison sentence for stealing from a local bank. A Lynchburg man was sentenced to seven years in prison on Thursday for punching his sister in the face, and a former employee of a local bank was sentenced to 30 months in prison for stealing about $750,000 from the bank and its customers since 2005. Dennis Lechner, 41, who testified at his own trial that he was the “prince of England,” received his sentence one month after a jury found him guilty of felonious assault against his sister, a U.S. Navy veteran who uses a wheelchair. Meanwhile, Arminta Torbett, 59, Washington Court House, was sentenced after she pled guilty by bill of information in November to aggravated theft of roughly $750,000 which she stole from NCB and its customers over the course of about 13 years, according to Highland County Prosecuting Attorney Anneka Collins. Aggravated theft is a third-degree felony. Collins told The Times-Gazette that Torbett moved the money from various accounts to her’s. Torbett was employed by NCB at the time, Collins said. Court documents filed in the case list eight people and the bank itself as victims. Torbett was ordered to pay $100,000 in restitution to NCB. According to various witnesses who testified at Lechner’s trial, Lechner punched his sister in the face so hard that it fractured her eye socket, broke her nose and knocked three teeth loose, causing pain that lasted for several weeks, and recurring migraines. Lechner’s sister, Lisa Garcia, has used a wheelchair since 2010 due to a back injury she sustained while in the Navy. Garcia testified that, following a dispute between family members over prescription drugs, she told her mother that she did not want Lechner in their home anymore, at which point Lechner punched her in the face and all parties fled the scene except Garcia and her 14-year-old daughter. “I called 911 with blood gushing out of my head,” Garcia said. Garcia was eventually transported to Miami Valley Hospital for treatment. Collins objected, and Judge Rocky Coss sent the jury to the back room before chiding the defendant for apparently attempting to derail the trial. “I don’t know what you’re trying to pull,” Coss said, ordering Lechner to tell the truth. 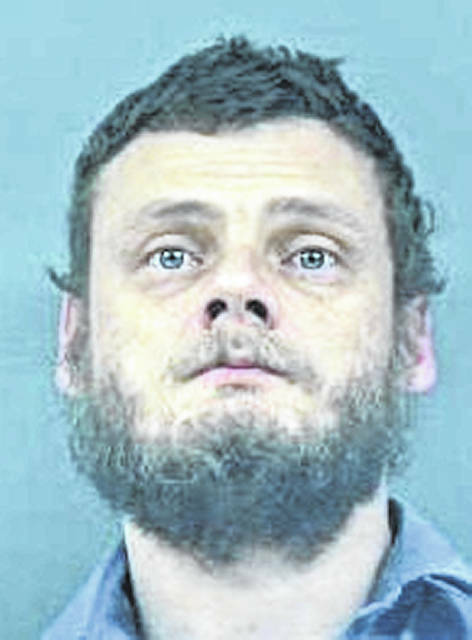 According to court records, Lechner’s mental status was evaluated last year as part of the case and he was found competent to stand trial in October 2018. The jury returned its verdict in 28 minutes.